Editor's Letter: Will LG get lucky with the G2? It wasn't long ago that the electronics divisions of Samsung and Lucky-Goldstar, two massive Korean conglomerates, played second fiddle to Japanese competitors like Sony and Panasonic. Today, of course, Samsung is a leading manufacturer of everything from tablets to TVs, while Sony makes most of its money by selling life insurance. The renamed LG, meanwhile, continues to battle Samsung on the international stage. In the cellphone industry, for example, LG ranks fourth, behind Apple, Nokia and market-leader Samsung. In TVs, LG ranks second, behind, yes, first-place Samsung. LG's latest salvo, fired this week, comes in the form of the G2, a flagship smartphone that left our Sarah Silbert impressed during her brief time with it. Boasting a 13-megapixel camera that can potentially hold its own against the shooters in the HTC One and Samsung Galaxy S 4, and a range of new features like Answer Me, which lets the phone automatically connect to incoming calls when held to your ear, the G2 could be, in Sarah's words, "a compelling flagship." 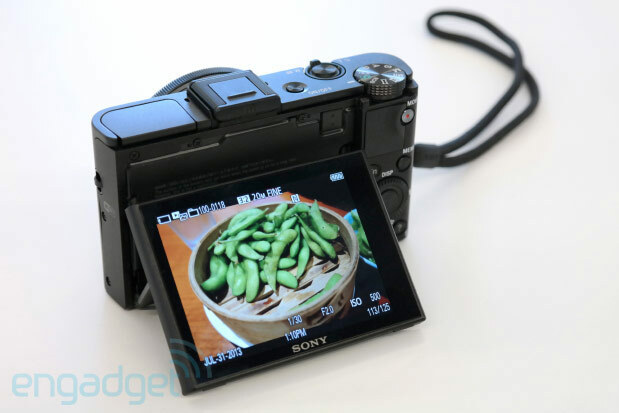 Speaking of that Japanese insurance company, this week we also took a quick look at Sony's latest high-end compact camera, the RX100 Mark II. Our conclusion: at $750, it's certainly not cheap, but if you want the "absolute best" compact, nothing comes close. In this week's Distro, we move from small gadgets to big science. Very big science, in the form of the Large Hadron Collider. Terrence O'Brien goes behind the scenes to explain how particle accelerators work, and why you shouldn't worry about a Large Hadron-induced singularity destroying the Earth. "If, and that is a big if, the LHC could create ... tiny black holes, it turns out there would be very little reason to be afraid," Terrence writes. "Collisions of much higher energies happen naturally in the universe all the time. As of yet, none of these collisions has led to the creation of a world-eating black hole." The issue also includes our reviews of two new smartphones: Motorola's Moto X and HTC's One mini. The Moto X, a mid-range smartphone at a high-end price, impressed our Joseph Volpe enough that he declared it "the smartest object that I'm currently carrying on my person," while Mat Smith opined that the One mini is "the most appealing non-flagship smartphone we've seen in a while." With competition like that from companies that aren't even among the top five cellphone manufacturers, LG may have more to worry about than just Samsung. This piece originally appeared in Distro #102.